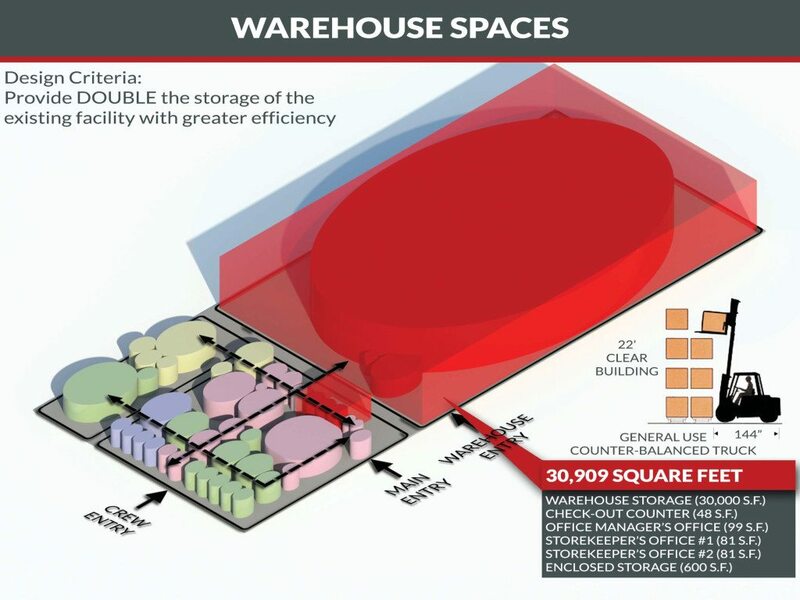 Building Up: How Material-Handling Equipment Can Significantly Impact Warehouse Space | WMB-ROI, Inc. 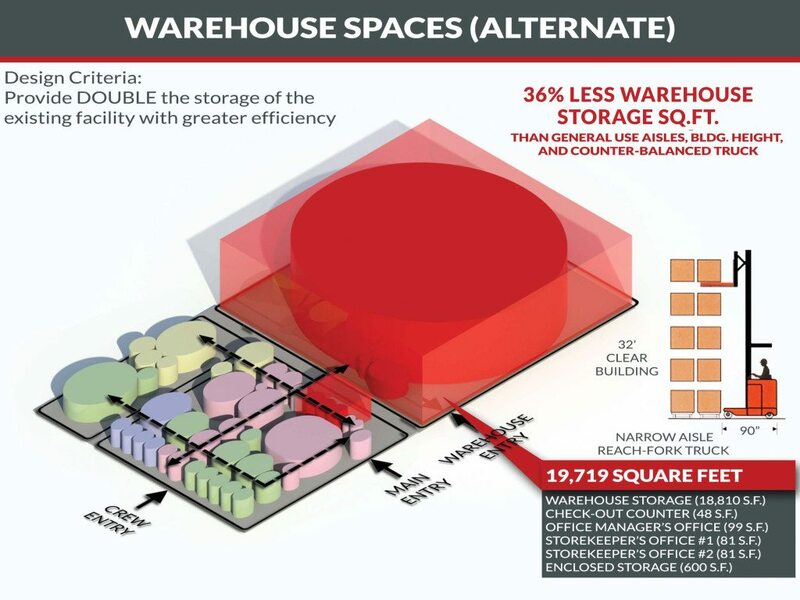 When analyzing options for the design of warehouse space, it is common to mistakenly assume that a general use counter-balanced truck is the best option for material handling equipment. Although this is the least expensive option, it may not be the most economic decision. 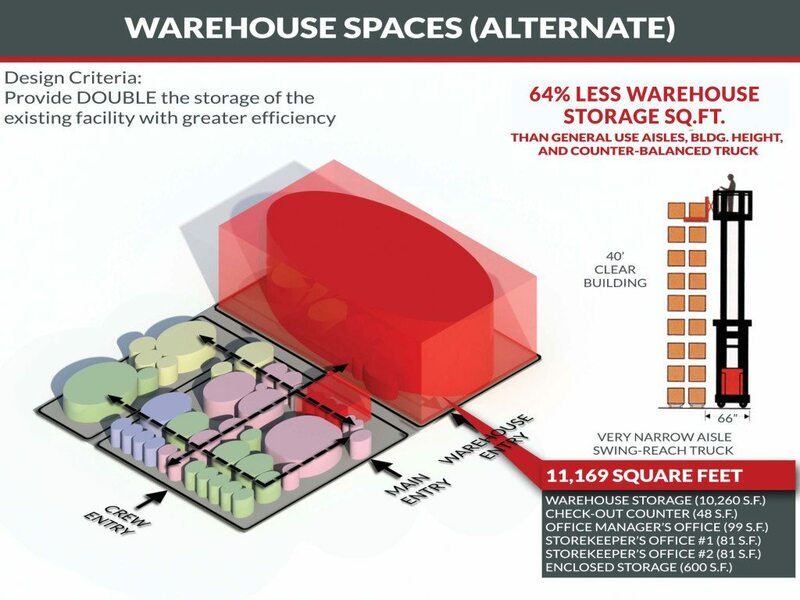 The diagrams below show an example of how WMB-ROI analyzed a 30,909 SF warehouse operated with general use counter-balanced trucks, and showed how its size could be reduced, first by 36% and then by a whopping 64%, merely by adding to the height of the building and upgrading the material handling equipment used. Material handling equipment, aisle size, and building height are all highly important factors to consider when constructing a warehouse. Each decision has initial construction cost implications, as well as recurring operational costs. It is critical that your design professional understands these interrelationships in order to make better holistic design choices.